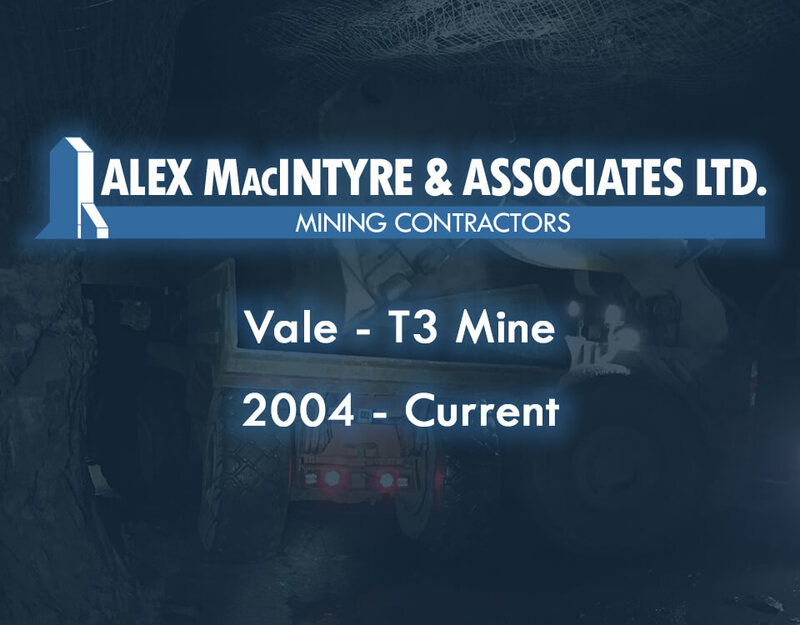 Services – Alex MacIntyre & Associates Ltd.
Alex MacIntyre & Associates Limited is proud to offer all of the services required to build, maintain and operate your mining project. 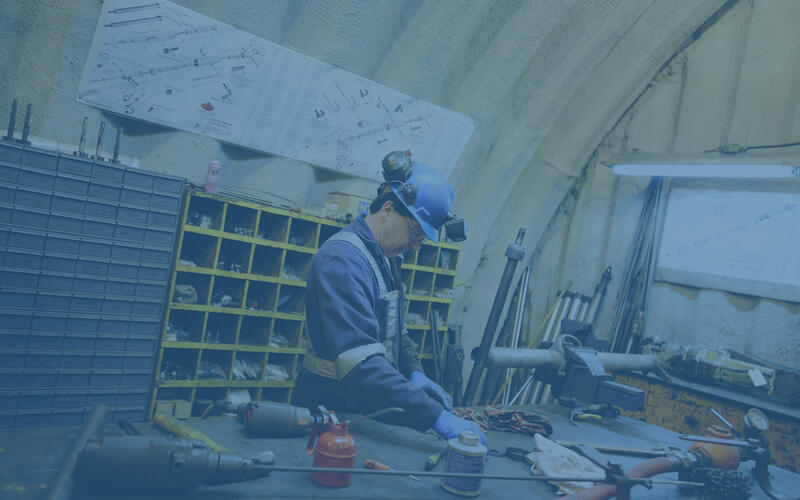 Large or small our team is equipped with the tools and experience to solve any challenge that comes our way. 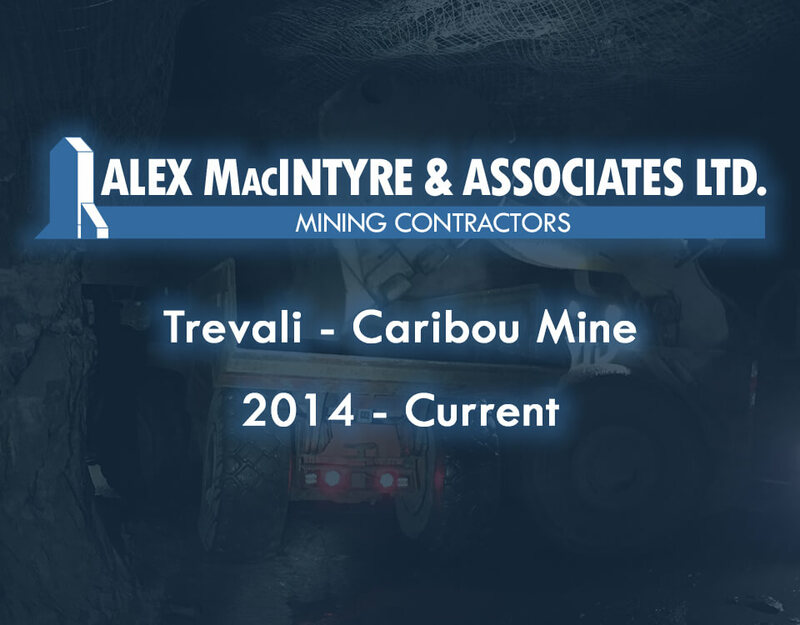 Please contact us to get more details. 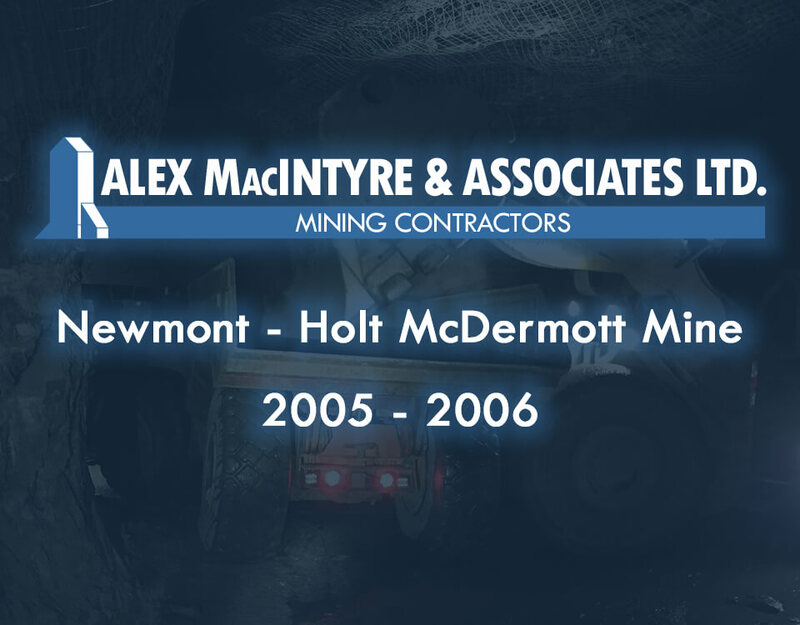 Alex MacIntyre & Associates Ltd. (incorporated 1968) and predecessor companies have been supplying mine contracting services to the mining industry for over 50 years. 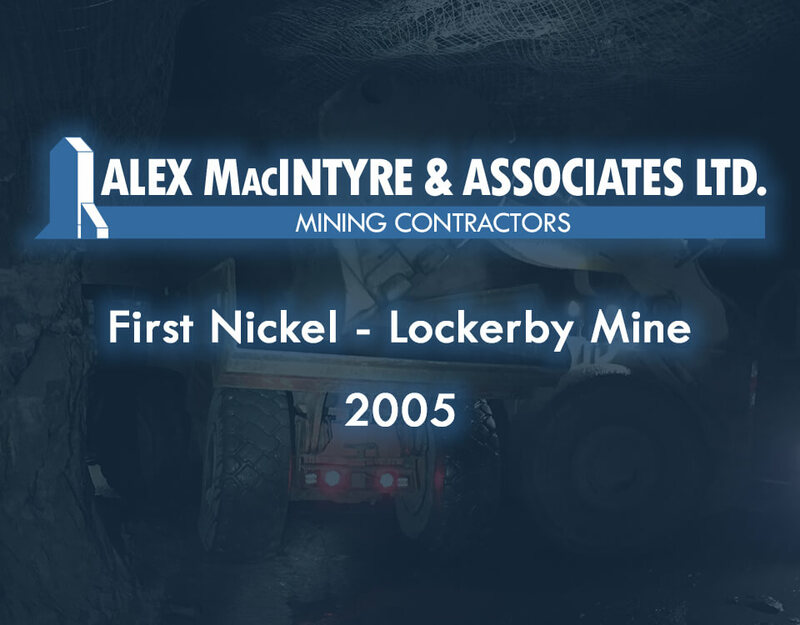 With head office, CWB certified shops and equipment yards located in Kirkland Lake, Ontario, MacIntyre has successfully completed shaft sinking and mine development contracts throughout Canada, the United States and South America. 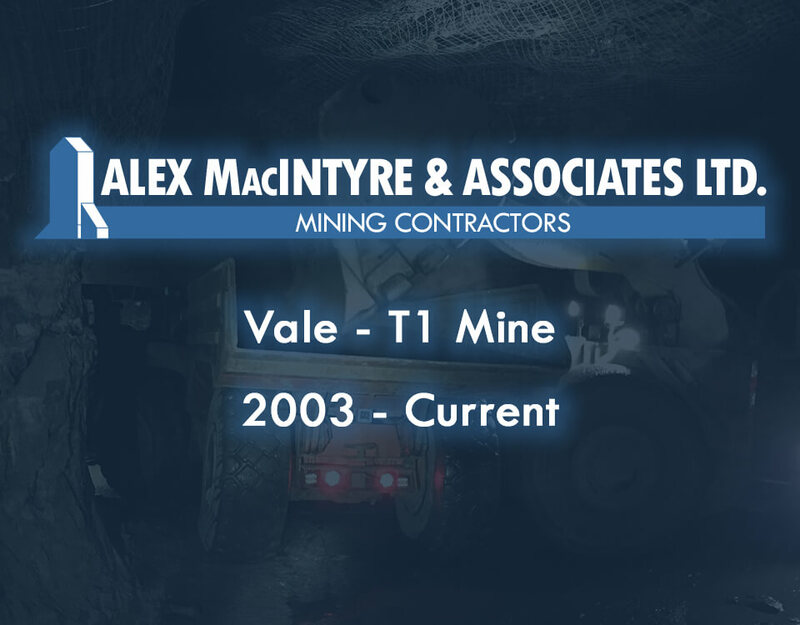 Mining clients in recent years include: Vale Inco, De Beers, Barrick Gold, Kinross Gold, Agnico Eagle, Sudbury Contact, Hudson Bay Mining & Smelting, Lac Minerals, Armistice Resources and Kirkland Lake Gold. 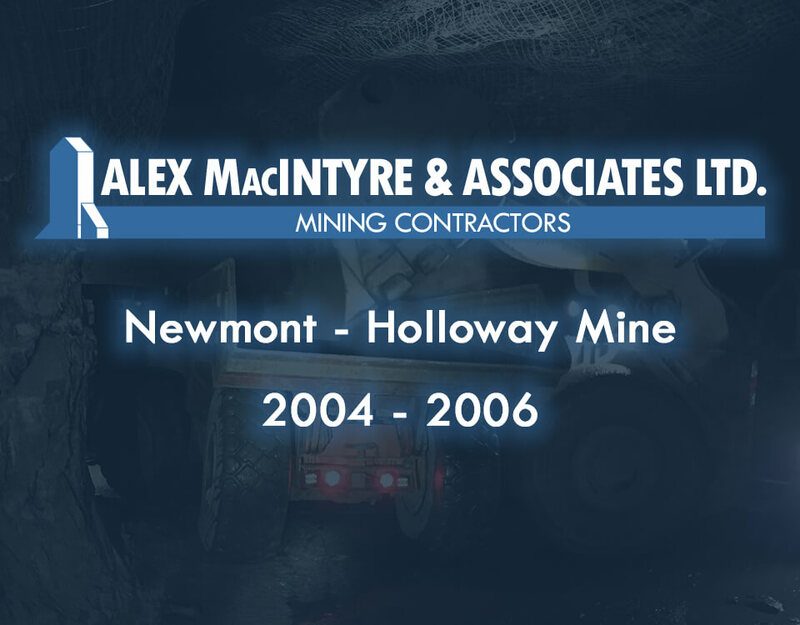 Alex MacIntyre & Associates Ltd. has an excellent performance record with shaft sinking, track drifts, jumbo development, mechanized raising, mine construction, shotcreting and electrical-mechanical installations. 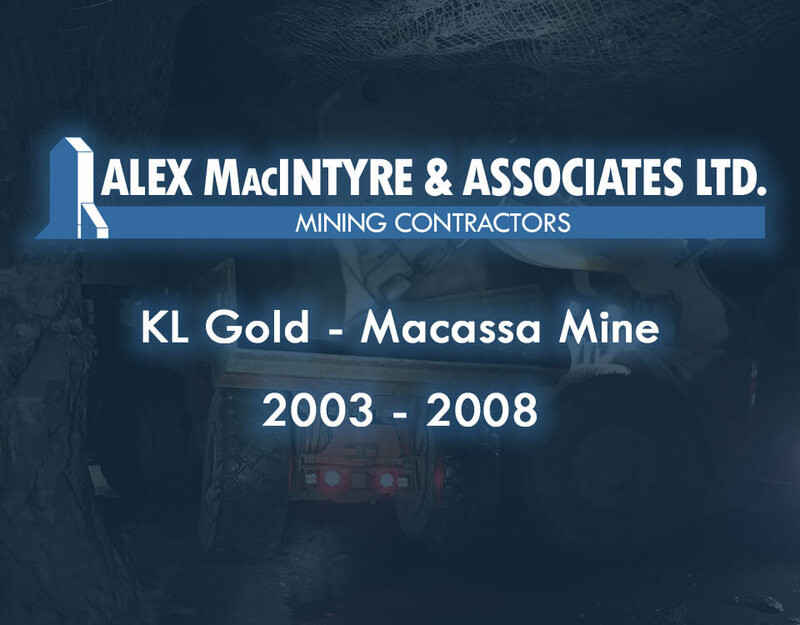 In addition to an extensive fleet of underground mining equipment, MacIntyre also boasts a fleet of surface equipment including trucks, drills, loaders, excavators and dozers for surface excavation, tailings basin construction, ore and waste hauls and specialty drilling and blasting. 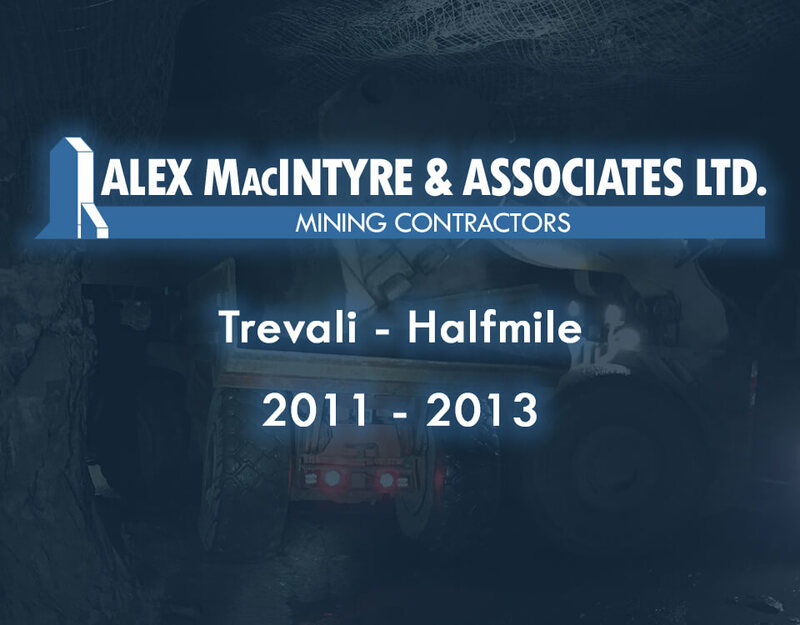 We are a full service mining contractor. 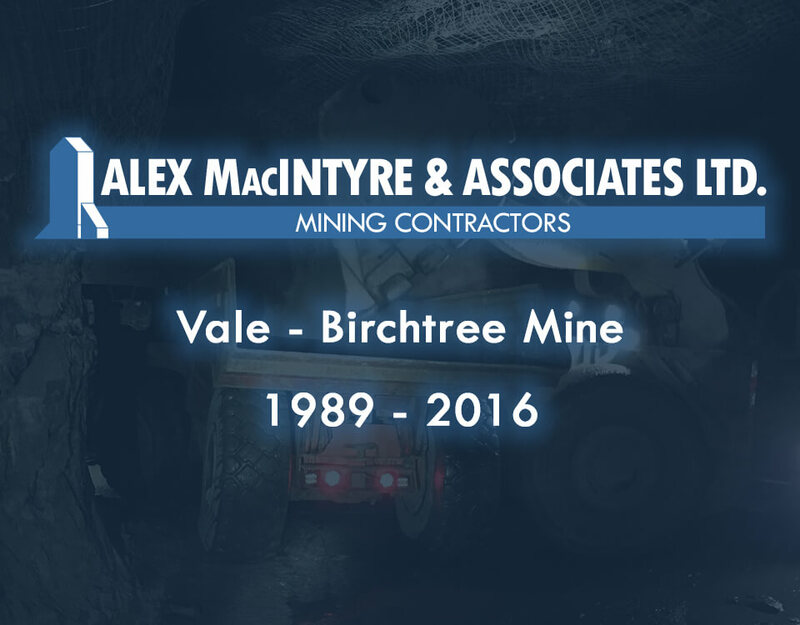 From mine dewatering through production and development to mine closures, MacIntyre has the equipment and experience to get the job done. 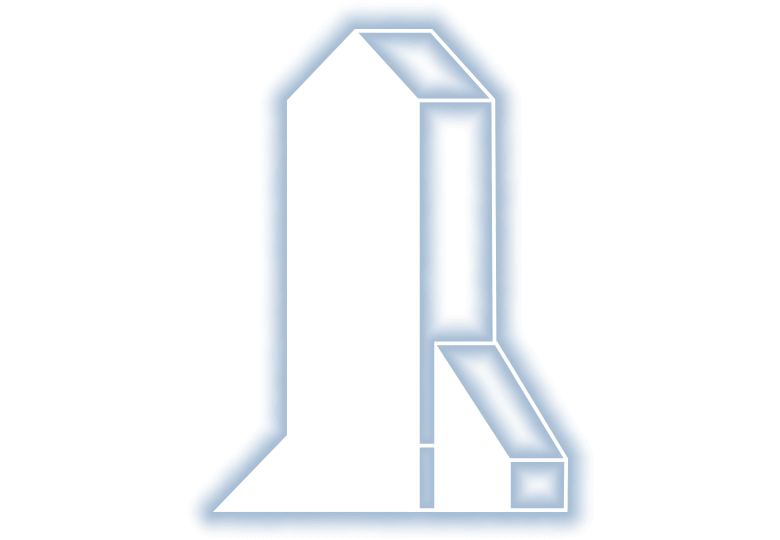 MacIntyre has a full estimating and engineering staff, field support personnel and outside specialty consultants who lend technical support to clients, field superintendents and managers. 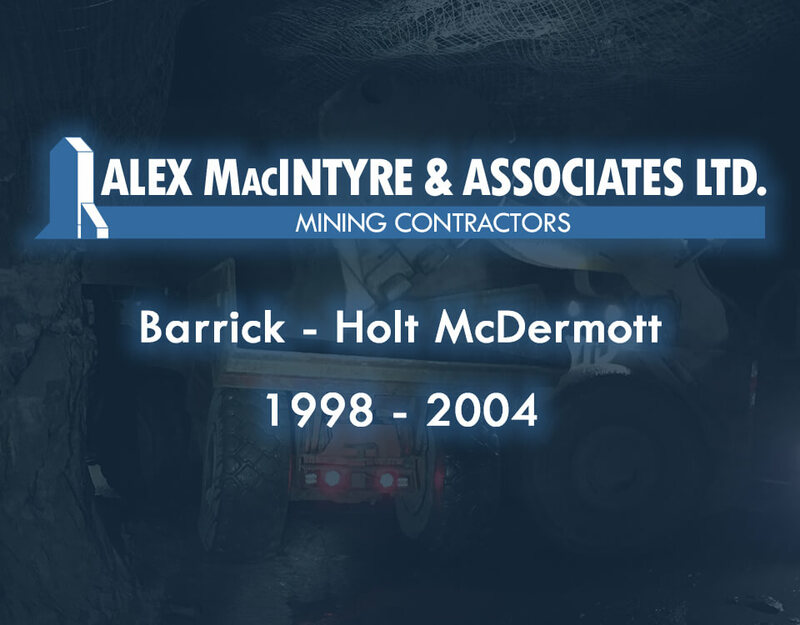 MacIntyre also has a full time Safety and Training staff, certified by the Ministry of Advanced Education and Skills Development (Formerly the Ontario Ministry of Training, Colleges and Universities MTCU) as well site supervisors who are also trained in safety management. 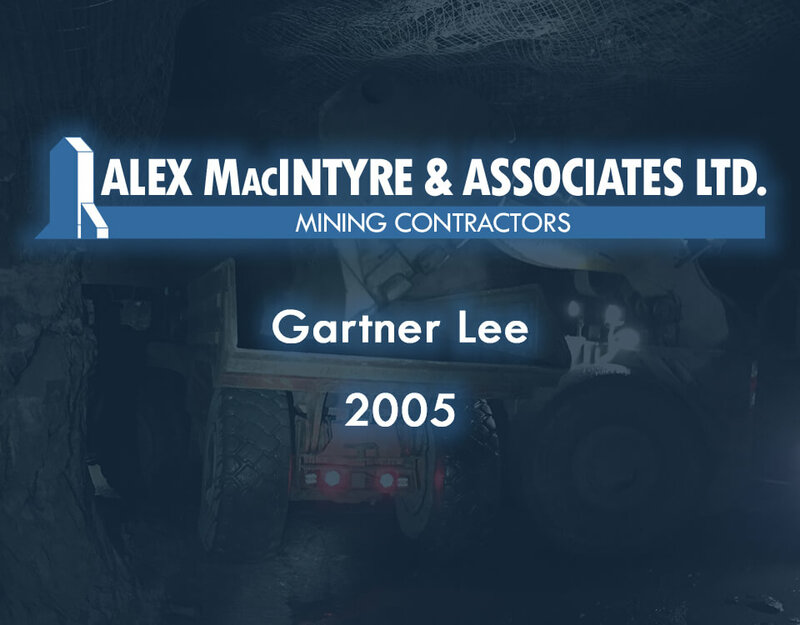 At Alex MacIntyre & Associates Ltd. we believe that every client receives the “personal touch” treatment, from site supervision to the head office support group, and it has always been that way. 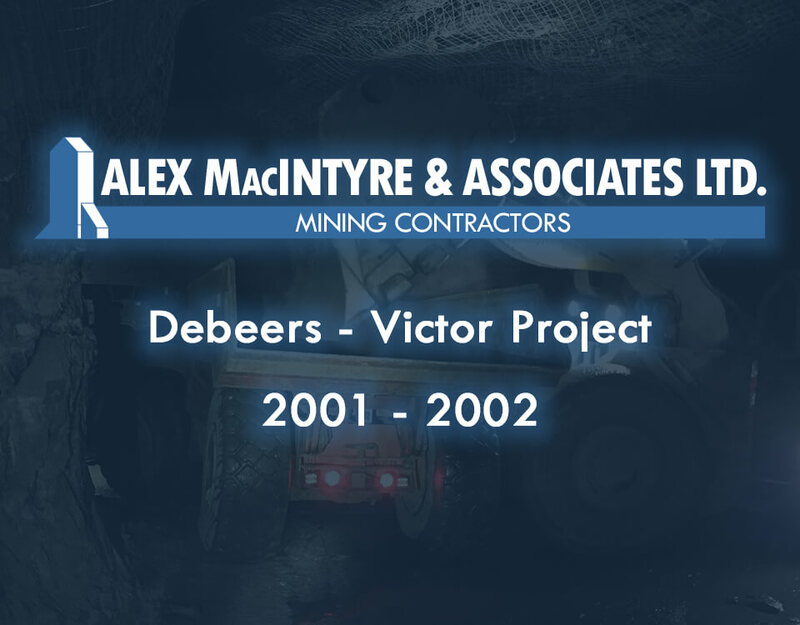 Here are some of the projects we're currently working on and some we've successfully completed.